Location: On the west side of Pipehouse Lane off the B3344, south of the village. Present state: Nothing remains, the A38 now runs through the site There are cottages near to the site called level crossing cottages. 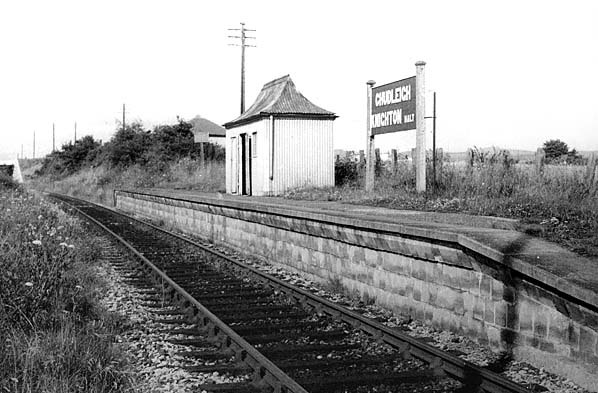 Notes: The original station was of timber construction with a small pagoda shelter and cost £300 when built. After WW2 a new concrete platform was provided. 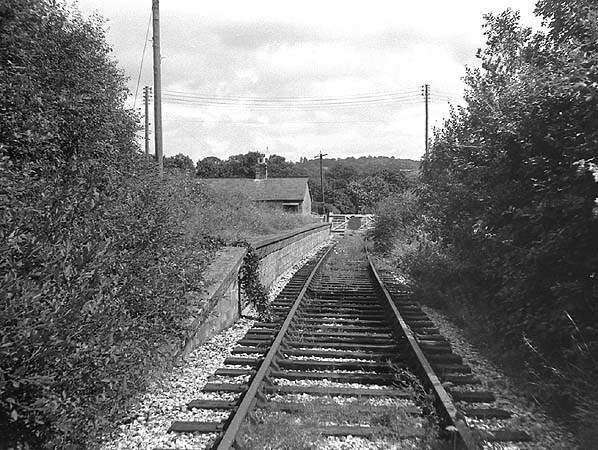 Some forty years later, the Exeter, Teign Valley and Chagford railway was formed to build a line from Exeter to join up with the existing line connecting at Christow station. This opened on 1st July 1903 some 9 years after the first sod had been cut by Lady Northcote, wife of the Member of Parliament for Exeter on 7th November 1894. The 1st official train left St Thomas station (Exeter) at 3.40pm and arrived at Ide at 4pm calling at all the stations on the line where each parish council laid on festivities and the usual address by councilors. 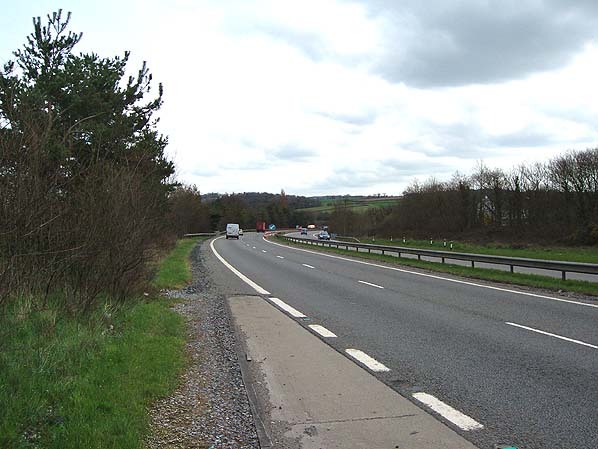 The site of Chudleigh Knighton Halt looking north east in March 2006. The road is at a higher level covering the station site.